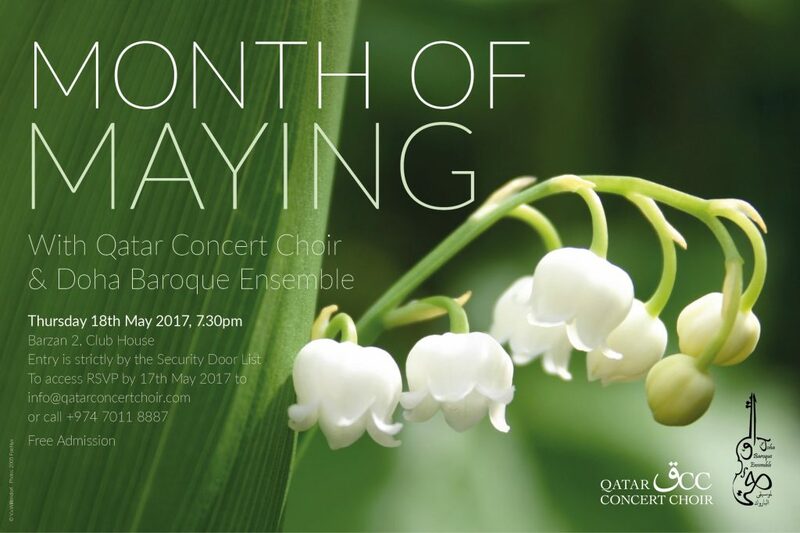 Together with the Doha Baroque Ensemble, the choir will be performing pieces from its new repertoire – from madrigals to musicals, from Bach to Syrian and Indian music. In addition there will be a raffle for some interesting concert tickets and of course, as with all Salon events, there’s a Pot Luck afterwards at Villa 14. Come and hear some quality singing for free, with QCC!